September is such a special month for our family because it’s Childhood Cancer Awareness Month. Before Knox was diagnosed and went through treatment, I had no idea that the yellow ribbon signified the fight against a monster that has taken too many childhoods away from our precious children. 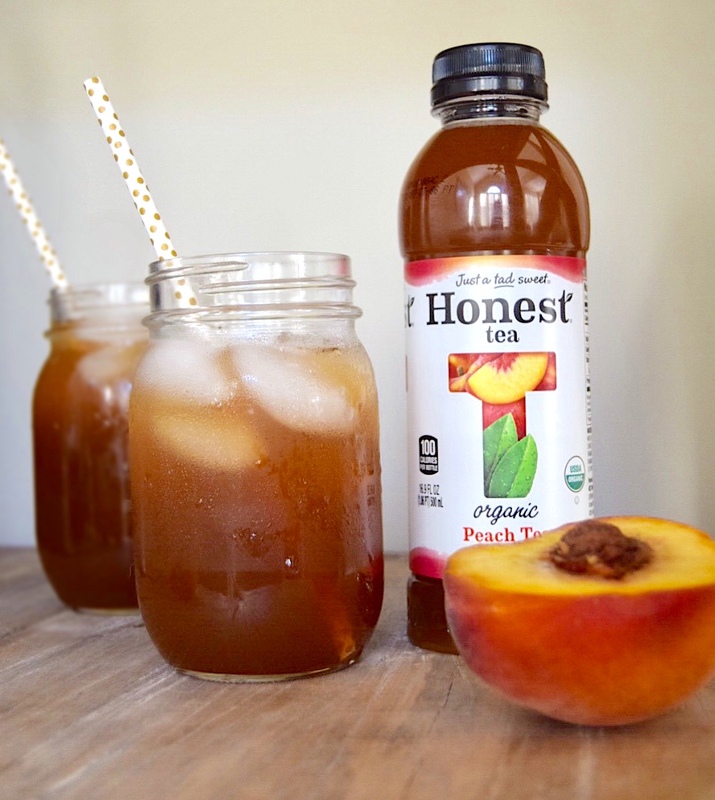 I’m excited to partner with Honest Tea® and Kroger to bring you my new Crockpot Peach Tea Chicken recipe, shed light on the importance of buying organic, and to share with you what that means to our family. Not only is September Childhood Cancer Awareness Month, but it’s also National Organic Month, which is pretty ironic for this cancer mom! When Knox was diagnosed I longed to find the why, but more importantly, I needed ammunition to help his little body fight. Since knowledge is power, I did all the research I could. One big change we made as a family is to eat organic and buy locally as much as possible to help fuel our bodies. 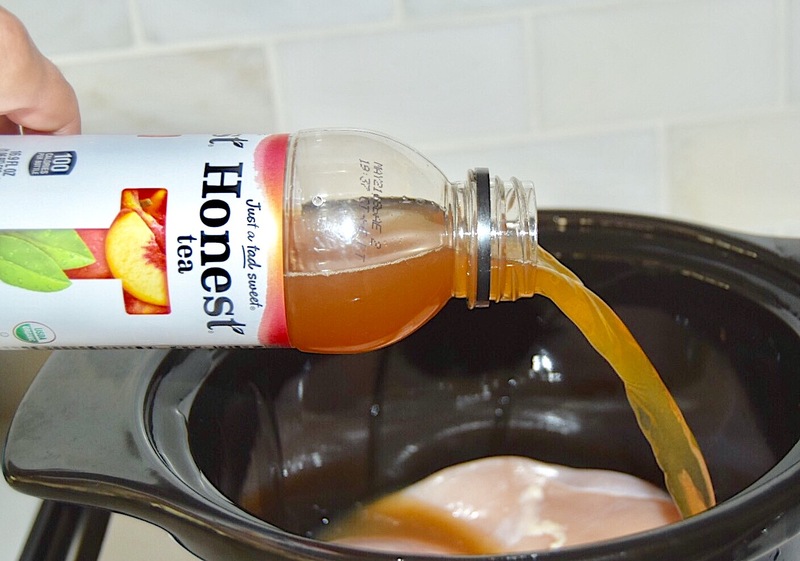 I created this recipe with Honest Tea in the hopes that summer will never end! It is still so hot here in Atlanta and we are knee deep in having a pool put in our backyard! 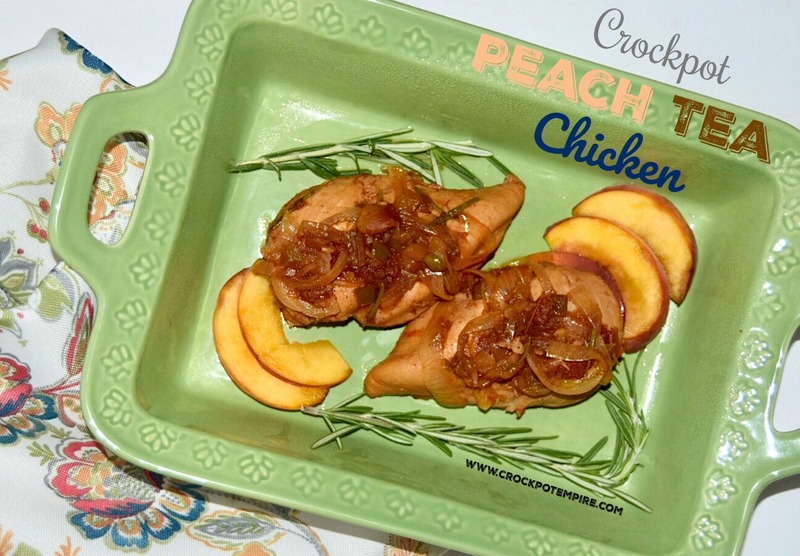 I am longing for the days I can lay out and sip some Honest Tea out by the pool, so in the spirit of keeping summer alive and being in the heat of Georgia, I couldn’t help but create a dish all about peaches! 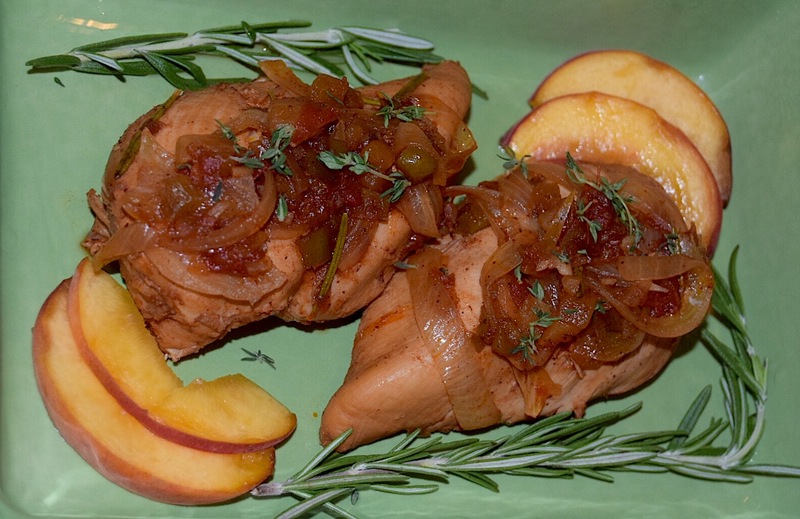 This Crockpot Peach Tea Chicken is so simple! 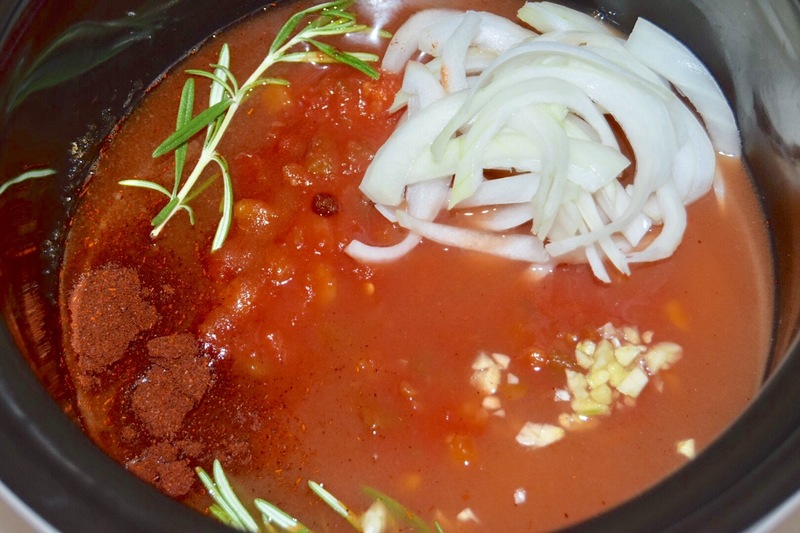 The fruit infused with the tomatoes in the salsa creates the most delicious dish that I am proud to call my one of a kind crock pot creation! 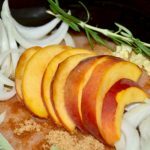 All you do is add all of the ingredients to your crockpot and let it work its magic to create a meal that’s refreshing and feels just like summer! 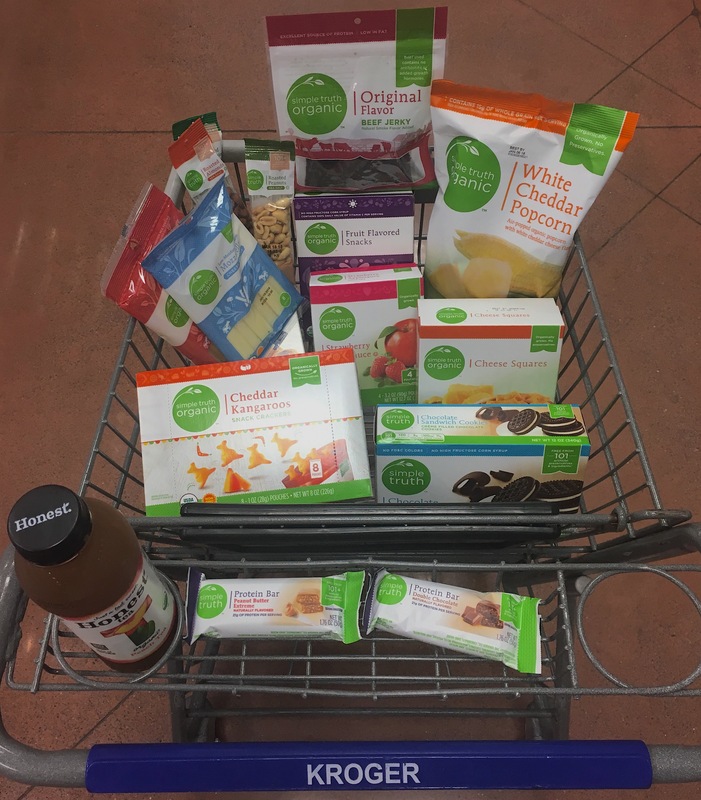 Being a busy working mom, I am constantly on the lookout for organic and healthy snacks for our family that are convenient. 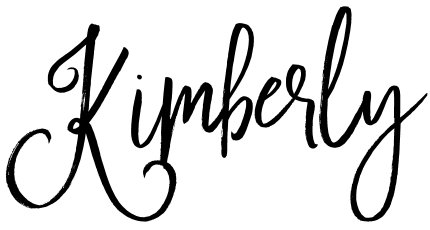 I love the Simple Truth® and Honest Tea brands at Kroger, because they have such a wide selection and the prices for organic products beat most other retailers. 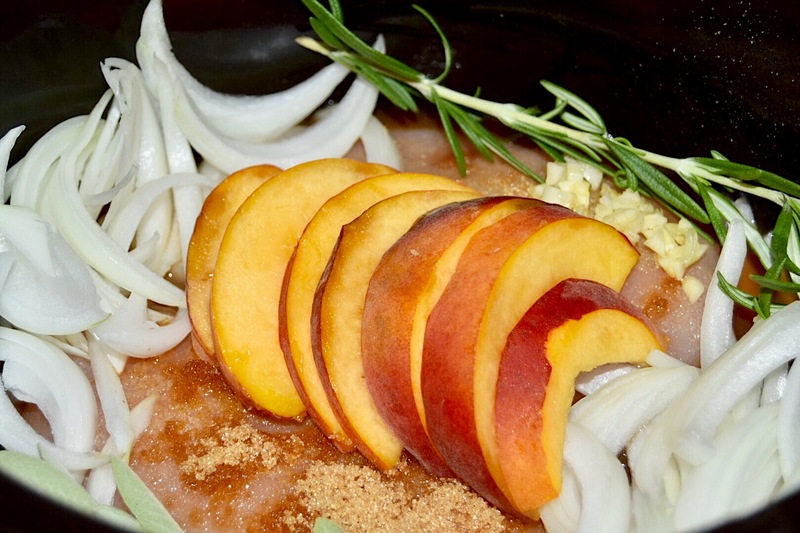 They carry everything I need from on-the-go protein that fuels my body, along with all the staples I need to cook a healthy delicious dinner like organic Peach Tea, a main ingredient in this Crockpot Peach Tea Chicken recipe! I also love grabbing an Honest Tea out of the refrigerator while I’m grocery shopping, instead of pulling through a drive-through for an afternoon pick me up! The tea is just a tad sweet, which is perfect for me! 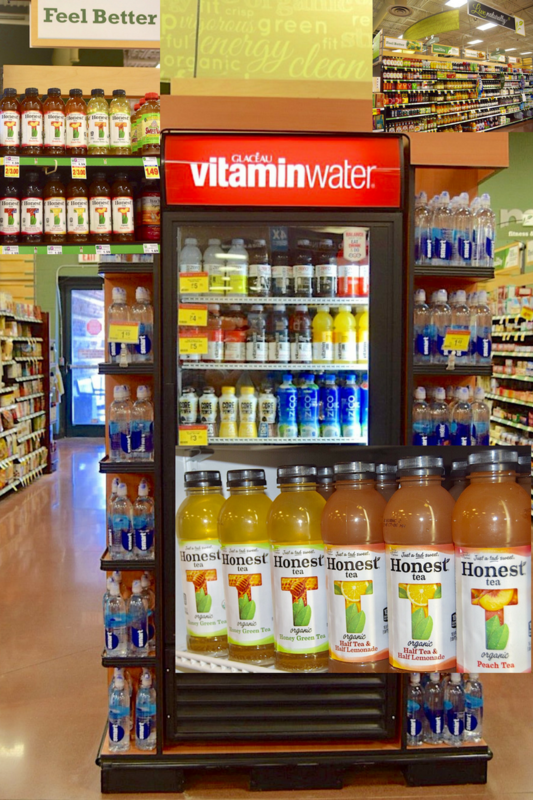 You can grab one that’s already chilled right out of the cooler in the Natural Living section of your local Kroger or on the drink aisle if you want to stock up. 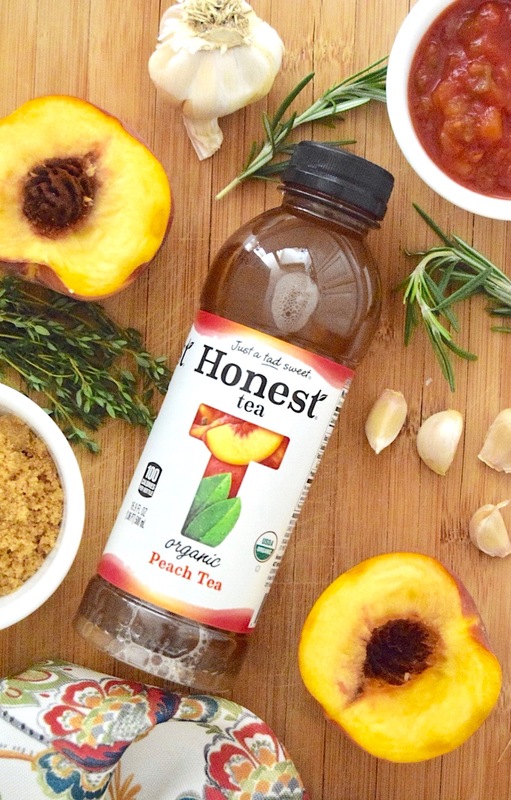 You can read more about Honest Tea including getting more great recipes and product inspiration by clicking here. 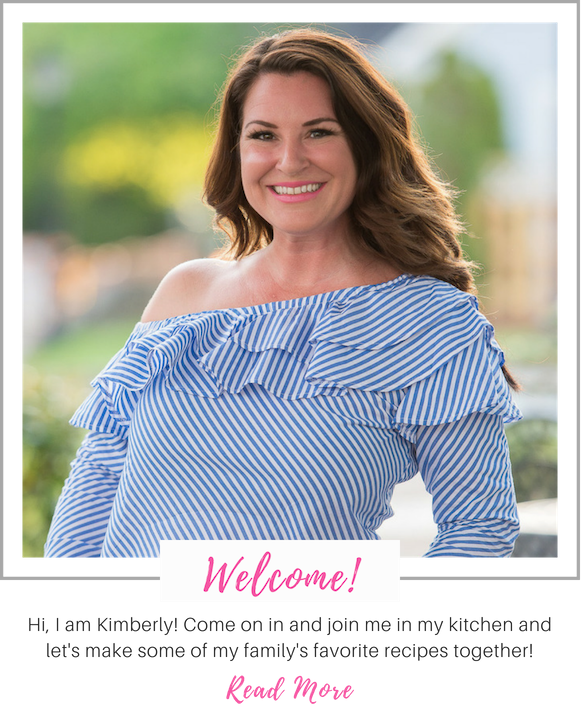 I am certainly not a doctor, just a mom that has spent numerous hours online reading medical journals and wellness articles that led our family to make BIG changes in our eating habits. I will say, I live by the motto “all things in moderation” and wholeheartedly believe in a healthy balance of ALL things. My hope and prayer are to get the answer “why” and for our medical experts to find a cure for not only childhood cancer, but for all cancers in my lifetime. I never want to watch cancer affect another child, family or friend again no matter what age.Until that day, one of the best things you can do for yourself and your family is to take care of yourself and your family by fueling your body with the healthiest ingredients. If you need some fuel for the soul, you can read more about Knox’s journey here or here and all about going GOLD for childhood cancer here. 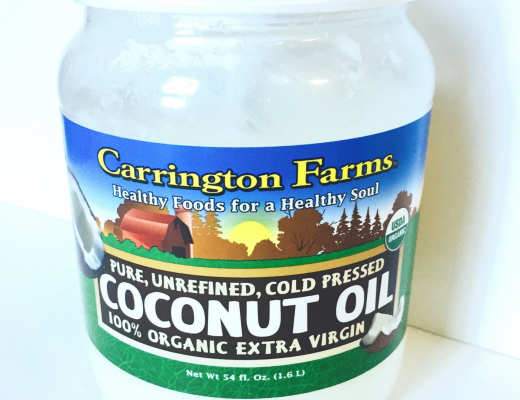 What are your favorite organic products? 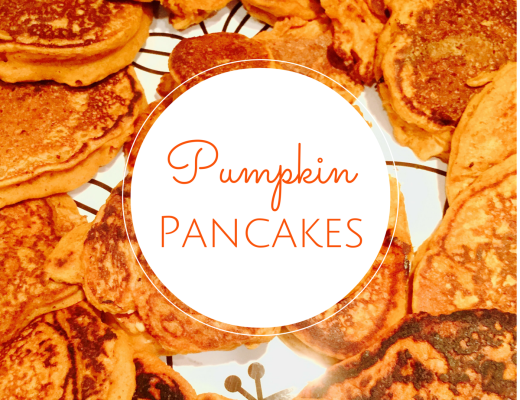 Let me know so that I can add them to my grocery list! And as always, please let me know if you have any questions about organic foods, why it’s important to your diet or if you need any tips for shopping at Kroger! 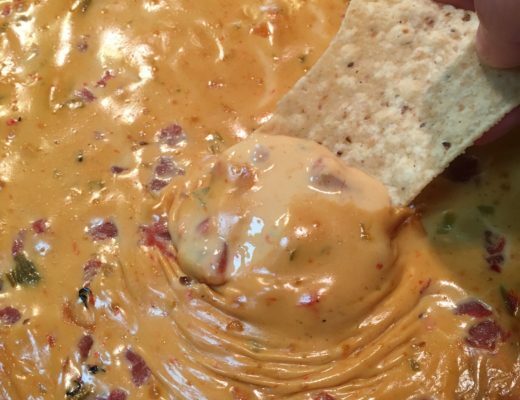 Add all ingredients to crockpot and stir. Cook on high 3-4 hours or low 6-8 hours. Serve chicken as whole breasts or shred to serve as tacos or on a bed of lettuce with additional salsa.